Not your parents’ acne treatment. Take a different approach to clearing—and preventing—your acne. 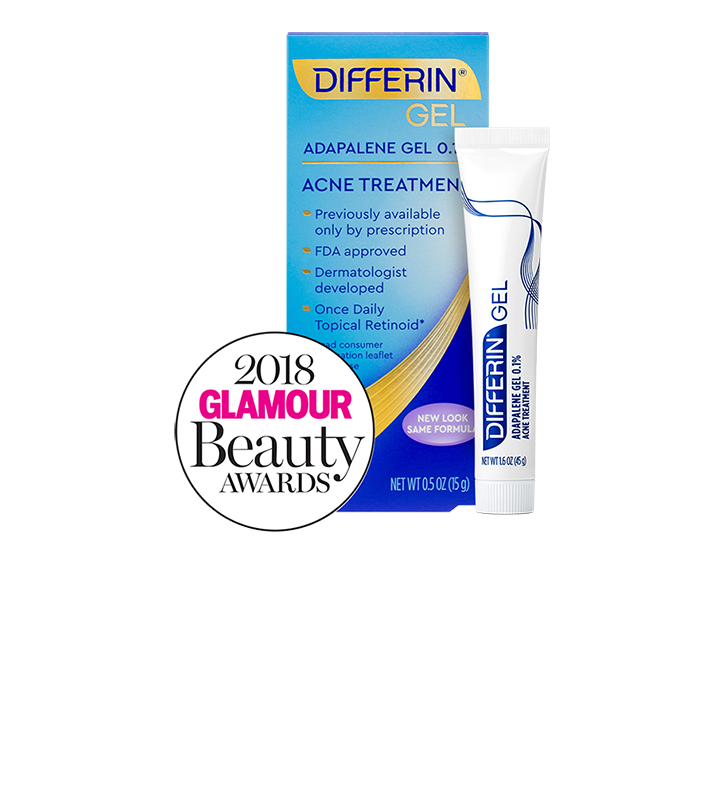 Non-comedogenic, fragrance-free Differin Gel contains the retinoid adapalene, the first over-the-counter active ingredient for acne in more than 30 years. It’s what you and your skin have been waiting for. Use daily. Live beautifully. Inactive ingredients: carbomer 940, edetate disodium, methylparaben, poloxamer 182, propylene glycol, purified water and sodium hydroxide. May contain hydrochloric acid to adjust pH. Use Differin Gentle Cleanser to keep skin clean. Next apply a thin layer of Differin Gel once every day all over your face—even when your face is clear—for long-term results. Don’t be discouraged by temporary retinization that may occur when using Differin Gel; it should subside after about week 4. Add sun protection under makeup without clogging pores, with Differin Oil Absorbing Moisturizer. At night, help decrease dryness and other signs of irritation with a non-SPF moisturizer such as Differin Soothing Moisturizer. How do you use Differin Gel? It’s time to rethink how you apply your acne treatment. What does Differin Gel do to clear acne? Differin Gel contains adapalene, a type of retinoid. Topical retinoids, like Differin Gel, play a crucial role in the treatment of acne. Retinoids have vitamin A activity which helps regulate cell turnover to make sure your skin goes through the right process, creating a healthier environment for skin. Regulating cell turnover helps to keep the pores from clogging and target acne before it even starts. Don’t think of Differin Gel as a spot treatment only to be used when acne rears its ugly head. In fact, if used daily, Differin Gel stops new acne from forming, resulting in improved skin tone and texture.